The sixth annual AAPE 1-Frame Team Competition was held February 11-13 at AmeriStamp Expo 2011 held in Charleston, South Carolina. Eight teams participated, the maximum allowed. Jaiswal: "Shahpura - A Newly Discovered Stamp Issuing Indian Princely State"
Nassre-Esfahani: "Persia 1879 Postal Cards"
Kreiger: "Zanzibar: The Overprinted Postal Stationery of India"
Marquez: "The First Coil Stamp of the World"
Barlow: "The Newfoundland Official Seals"
Tweaking of the rules continued with the 2011 edition of the contest. 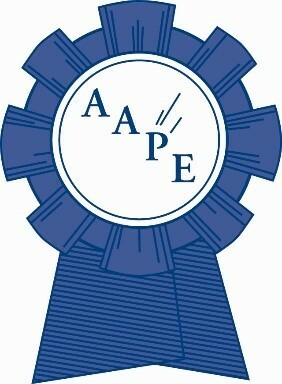 A 10-point bonus was added for each exhibit presented by a novice (as defined by the rules for the AAPE Novice Award). A 10-point bonus was also included for each Youth exhibit on a team (as defined by the prospectus for AmeriStamp Expo). The bonus for new exhibits was increased from 5 points to 10 points. An exhibit was deemed new if it had not previously been shown at the national or international level. Otherwise, the rules were the same as for the 2010 edition. Teams earned a 5-point bonus for each Type of exhibit as selected from: Traditional (TR), Postal History (PH), Postal Stationery (PS), Revenue (RE), Illustrated Mail (IM), Display (DI), Thematic (TH), Aerophilately (AE), Astrophilately (AS), Cinderella (CI), and Picture Postcard (PP). The following values were assigned to medal levels: Gold = 100, Vermeil = 90, Silver = 80, Silver-Bronze =70, Bronze = 60 and Certificate = 50. Additionally, teams earned bonus points for special awards. Winning the 1-Frame Grand Award earned 10 points, while all other awards, including the Reserve Grand Awards, earned 5 points. The table below lists the teams and the points each won. The full scorecards for each of the participating teams will be posted on the AAPE website. The bonus given for new exhibits was bumped up from 5 points to 10 points with this edition in hopes that the higher bonus would encourage more first-time exhibits in the national arena. Alas, the trend towards fewer new exhibits continued this year. Of the 40 participating exhibits, just 16 were new for national competition - just 40%. This falls far short of the goal of 60% set at the initiation of the contest. By contrast, the proportion of new exhibits for 2008, 2009 and 2010 was 75%, 63% and 56% respectively. However, given that the winning team this year presented five new exhibits and that the runner up entered four new exhibits, perhaps teams for the next contest and future contests will take note of this and increase the number of fresh exhibits in their lineup. Diversity, on the other hand, improved over last year even though the bonus for each exhibit remained at 5 points. All but one team had at least three exhibit types represented, and two teams, West Essex Philatelic Society and Volunteer 5 presented a team display where each exhibit represented a different type. The table below demonstrates the distribution of exhibit types for the last four years. It was rather disappointing that not one of the teams included a youth member. Perhaps, the 10-point bonus was not enough of an incentive. Would a higher bonus influence a team? If so, how high a bonus would be deemed necessary? Likewise, the exclusion of novice members on all but one team is also a bit disappointing. The West Essex Philatelic Society is the one exception, and they included three rookies on the team! This team deserves kudos for fully embracing the spirit of the contest. With 4 of 5 of their entries debuting at national competition, five types of exhibits represented, and three novice team members, they still managed to pull in three special awards, placing the team in fifth place. Bravo! While some may say that winning the contest is enough of a prize for the winning team, they too deserve special recognition. With five fresh exhibits they garnered an impressive 35 bonus points in special awards, including a Reserve Grand and the Grand Award. May this accomplishment inspire others to enter untried exhibits next year. A main goal of the competition is to provide exhibitors a fun experience to work as a group in what is vastly an individual pursuit. While I was not able to attend, a number of those who were at the show told me that participants and non-participants alike enjoyed the competition. Thanks to Liz Hisey and Tim Bartshe for handling the logistics in my absence. Special thanks go to Dana Guyer, APS Director of Shows & Exhibitions, and Barb Johnson, Assistant Director, for coordinating the team contest with AAPE. We appreciate their cooperation. A big "thank you!" also goes out to Pat Walker for once again picking out great prizes for the winning team. The next edition of the 1-Frame Team Competition will be held in conjunction with AmeriStamp Expo 2012, to be held January 27-29 in Atlanta, Georgia. There will be NO changes in the rules or scoring for the 2012 contest. Rules and regulations, as well as the registration form may be found on the AAPE website. Start planning now to enter a team!